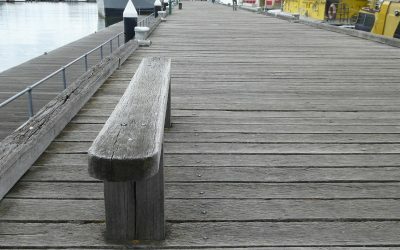 When I was growing up in the port city of Hull in East Yorkshire, a trip down to the pier was always an exciting affair, not only to watch the ferries coming and going across the river, but also just to walk on those wooden planks and see the murky water through the gaps in the boards. 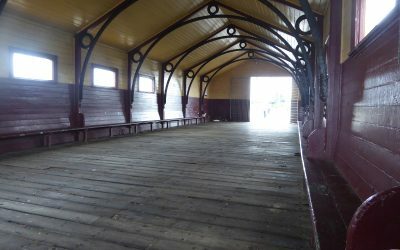 I did the same in my Dad’s home town of Southampton, and then went to Uni in Brighton, which had a fabulous pleasure pier, including fun fair rides right over the sea. 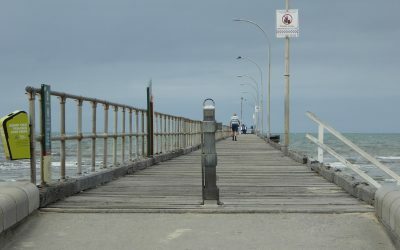 Piers today tend to be used mostly for fishing, but people still enjoy a bracing walk out onto the water, and going back in time, piers all over the world have great stories to tell. 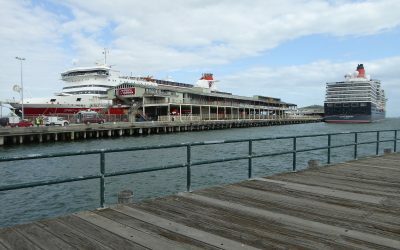 I’m sure it will be the same in Victoria, so if you know of a pier that still exists today and has great memories for you, let me know so I make sure to visit soon. 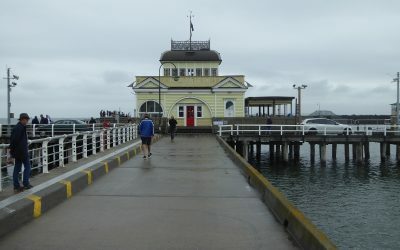 Popular with promenaders since the 1850s, St Kilda Pier draws people today for a peek at the penguins, though its newly-restored pavilion is also a local landmark. 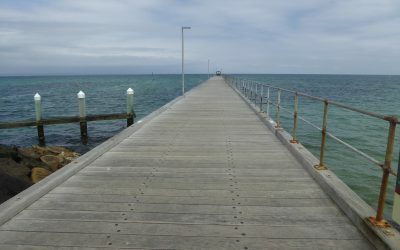 The long, straight finger of Mordialloc Pier has been stretching out into Port Phillip Bay since the mid-1800s. 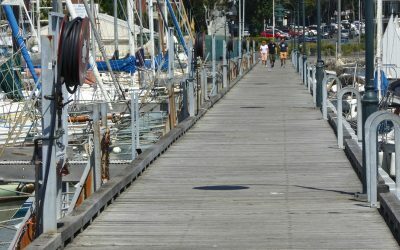 Popular with fishermen, but also for a casual stroll.